Our president says he wants to run the country like a business. But it turns out running the government isn’t like running a business after all. 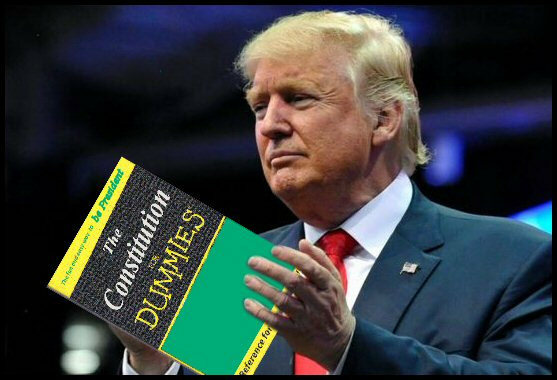 Trump, for his part, says he’s located the source of the problem: the Constitution. All those checks and balances our founders are cramping his style. “It’s an archaic system,” he complained. Yes, Trump was elected by… well, not a majority of Americans. Or even a plurality of voters. But he was legally elected, and he has some power. Yet he cannot erase or overrule the power of our representatives in Congress. Yes, he actually said that about our system of government — which, admittedly, is less efficient than running a business. That’s the idea. A publicly traded corporation has one goal: to make money for the shareholders. A government, on the other hand, has many goals: economic prosperity, reducing poverty and hunger, keeping the public safe, preserving human rights and civil rights, and so forth. A successful business leader may excel in making money. It doesn’t follow that they can achieve the many other objectives the leader of a nation must work toward. A business can pick and choose who it deals with. The CEO can hire and fire employees at will and choose which other companies to work with. It can target its products towards a particular customer base, instead of attempting to sell its products to the entire public. And the CEO is the boss. The government gets no such choices. The voters are the bosses. Our leaders have to deal with all of us, and they can’t pick and choose which segments of the population they want to represent. We’re all Americans. Furthermore, Trump doesn’t get to choose who’s in Congress. We do. Whether our members of Congress are Republicans or Democrats, they’re supposed to represent their districts. If Trump wants something that will harm their constituents, and potentially get them voted out of office, they won’t (or shouldn’t) go along with it. The president can’t simply issue orders and have them immediately followed like the head of a company can do. In a company, it ultimately doesn’t matter if the marketing and the accounting departments disagree with the CEO. They have to do what they’re told to keep their jobs. In a democracy, it does matter whether the representatives from Montana or Florida agree with the president. If the majority of Congress doesn’t agree with the president, they won’t roll over and do as he likes. And he cannot fire them, because they’re accountable to their voters. So, welcome to Civics 101, Mr. President. You’re right. Our Constitution is “archaic” and it limits the powers of the presidency. That’s what our founders intended. Maybe you ought to take some time out of your busy golfing schedule to read it some time.